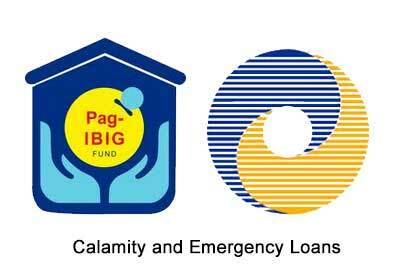 If you're looking how to claim calamity and emergency loans from GSIS and PAG-ibig, good news! because on this page you'll get an important info about the requirements on how to claim calamity and emergency loans. How to claim Calamity Loan to PAG-iBIG. First, you must be leaving in the area declared under state of calamity. Second, you must have two years contribution on PAG-Ibig Fund and must be active member with contribution in the last 6 months. Third, download the 'application form' for Calamity Loan HERE. Last, bring all your documents to your HR officer or near PAG-ibig Fund branches. Note: You can get up to 80% of your contribution at low interest rate. How to claim Emergency Loan to GSIS. First, you must be a resident or employee of the government office within the declared state of calamity. Second, you must be Active member of GSIS and current contributing your premium. Third, you must have no loan declared before, no pending criminal or administrative charges and no arrearages in the payment of mandatory social insurance contributions. Last, you can go to any GSIS kiosk (G-W@PS kiosk) and over-the-counter (OTC) offices for applying your emergency loan. Note: if you want to know more about GSIS Emergency Loan, just click HERE. Comments or suggestions about "How to Claim Calamity and Emergency Loans from GSIS, Pag-IBIG " is important to us, you may share it by using the comment box below.